Disney purchased Fox this week. This is a big deal. That means all of Marvel’s property is under one roof again. Disney’s upcoming video streaming service is starting to get a lot more appealing to many people. Some claim that Netflix should be nervous. However, Hulu, Netflix, and others have co-existed for years. The addition of Disney’s streaming service probably won’t change that. Google revealed the top search trends of 2017. Among them are the famous Mayweather vs McGregor fight, 13 Reasons Why, the various hurricanes that buffeted the American south, bitcoin, and many others. In consumer tech, the iPhone 8 and X dominated along with the Nintendo Switch, Xbox One X, Galaxy S8, OnePlus 5, and the Razer Phone. Hit the link to see all the trends! The latest Humble Bundle is live! This time it’s a bunch of Noodlecake Studios games. That’s good news because that studio is fantastic. Some of the games include Alto’s Adventure, Pug’s Quest, Invert, Framed 2, The Bug Butcher, and others. Four games are available for $1. Beating the average price nets you four additional games. Finally, you can get every game in the bundle for a flat $5. That’s a great deal for some great games. Bridge Constructor Portal already has a decent buzz about it. We now have more to report. The game features Ellen McLain, the original voice actress for GLaDOS. That’s getting people excited. The eccentric robot AI was a fan favorite in the Portal games and remains an icon of the game. It’s really neat to see the actual GLaDOS returning for this mobile game. Microsoft Edge on mobile is doing surprisingly well. It amassed over one million downloads in just a few short weeks. Microsoft Edge browser isn’t half bad. Most of its critiques compare its lack of features to that of Firefox and Google Chrome. However, a mobile app offering shored up a lot of those weaknesses, including cross-platform syncing. It’s good to see some quality competition in the browser space. For even more Android apps and games news, updates, and releases, check out this week’s newsletter by clicking here. You can also subscribe with the form below if you want. Of course, the best way to stay up to date is with the Android Authority app! Get the latest Android Apps Weekly newsletter! Storyboard is one of two new apps from Google this week. This one is a bit unique. It turns videos into comic strip-style storyboards. The app uses experimental research technology for its layouts. You can refresh over and over again until you get one that you like. It's not overly useful. However, it is a lot of fun to use. Plus, some of the layouts look pretty nifty. The app is also entirely free with no ads or in-app purchases. Ticket to Earth is a new puzzle RPG. You play to save a colony from destruction. The game includes various types of puzzles, tile matching, and a decent story line. Most of the game is on a board game style layout. The game first appeared on Steam. The mobile release is more recent. The game is a pay-once experience. That means no ads or in-app purchases. It goes for $4.99 usually. However, the developers are having a launch sale. The game is temporarily $3.49. Selfissimo is the second new Google app this week. This one is another experimental app. It tries to automatically snap pictures of you when it detects your pose. Thus, you just pose, it takes a picture, and you repeat until done. For now, it only takes black and white selfies. It may not be suited for much more than the occasional Instagram or Facebook post. Still, it's kind of neat to watch an app take your picture automatically. The app is free with no in-app purchases or advertisements. Oddworld: New 'n' Tasty is the latest adventure game in the popular franchise. This one follows Abe as he attempts to save his friends. The evil Molluck wants to turn everyone into food. Obviously, that's a bad thing. The game comes with decent graphics, support for hardware controllers, cloud saving, leaderboards, and achievements. It's a tad expensive at $7.99. However, it doesn't have ads or in-app purchases. It's a decent game for its price. 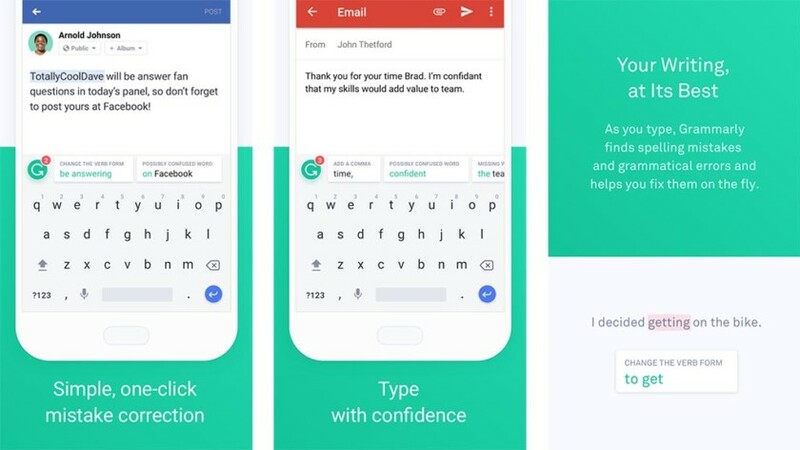 Grammarly Keyboard was released this week. It's by the same devs who do the Grammarly extension on Google Chrome. The keyboard works okay. It has a fairly basic set of functions and the layout is a little boring. However, it does attempt to correct your grammar as you type. That makes it unique. Grammarly is having a rough start with this one, though. There are a few bugs and only a few customization options. This one may take a while to get going. 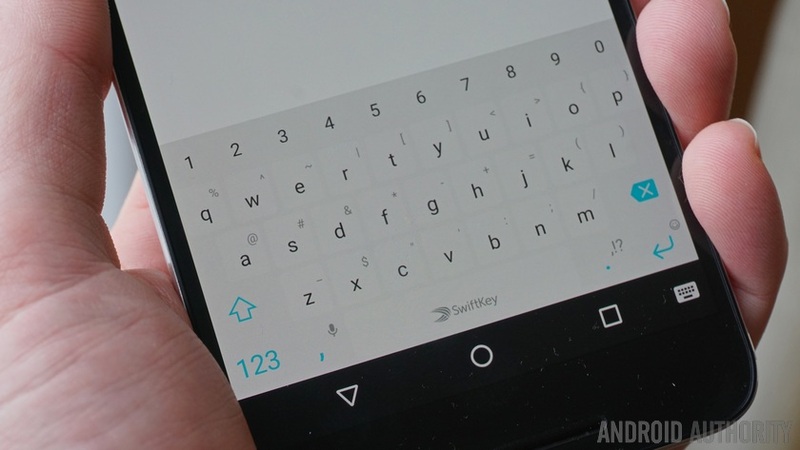 It might end up being one of the better Android keyboards over time. At the very least, it's free with no in-app purchases if you want to try it. Thank you for reading! Here are some app list recommendations to check out! If we missed any big Android apps or games news or releases, tell us about it in the comments. Check back next week for more!